ZOA: ADL should apologize for anti-Bannon accusations.Trump's appointee is not anti-Semitic, says oldest pro-Israel organization in the U.S. The Zionist Organization of America (ZOA) has released a statement stating that it is "painful" to see the character assassination against President-elect Trump’s appointee Stephen Bannon. ZOA President Morton A. Klein said that the Anti-Defamation League and its president Jonathan Greenblatt should apologize for essentially accusing Bannon and his media company of “anti-Semitism” and Israel hatred. Greenblatt/ADL tweeted that Bannon “presided over the premier website of the ‘alt right’ – a loose-knit group of white nationalists and anti-Semites." "In fact," Klein continued, "as pro-Israel writer (and orthodox Jew) Joel B. Pollak wrote, Mr. Bannon is 'an American patriot who defends Israel and has deep empathy for the Jewish people. '”In addition, the ZOA asks rhetorically, "would pro-Israel stalwarts/Trump advisors Gingrich, Giuliani, Pence, Kushner, Friedman, Greenblatt, Adelson allow an anti-Semite on board?" 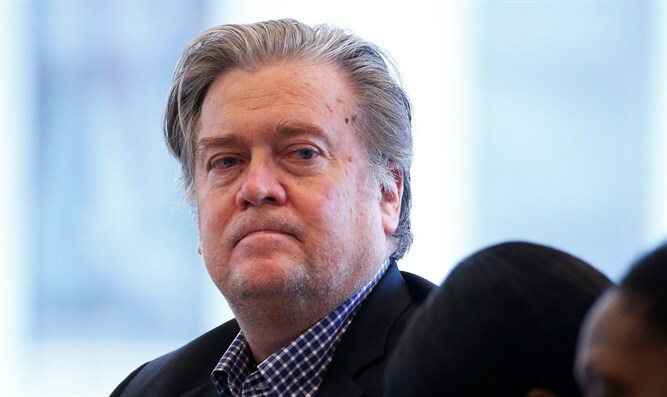 Trump's appointment of Bannon as his "chief strategist and senior counselor" has raised concern in some sectors due to controversial statements and positions taken by Bannon. However, the ZOA has researched and found many pro-Israel and pro-Jewish positions taken by Bannon and the Breitbart media site he headed. Some ZOA examples of Bannon's "friendship and fair-mindedness towards Israel and the Jewish people" include his efforts against the anti-Semitic rallies at CUNY, as well as articles reporting that the Palestinian Authority defames Israel with blatant falsehoods. Breitbart has published articles critical of the Iran nuclear deal, and "sympathetically reports on the scourge of anti-Semitic anti-Israel boycotts, divestment and sanctions (BDS)," the ZOA notes.